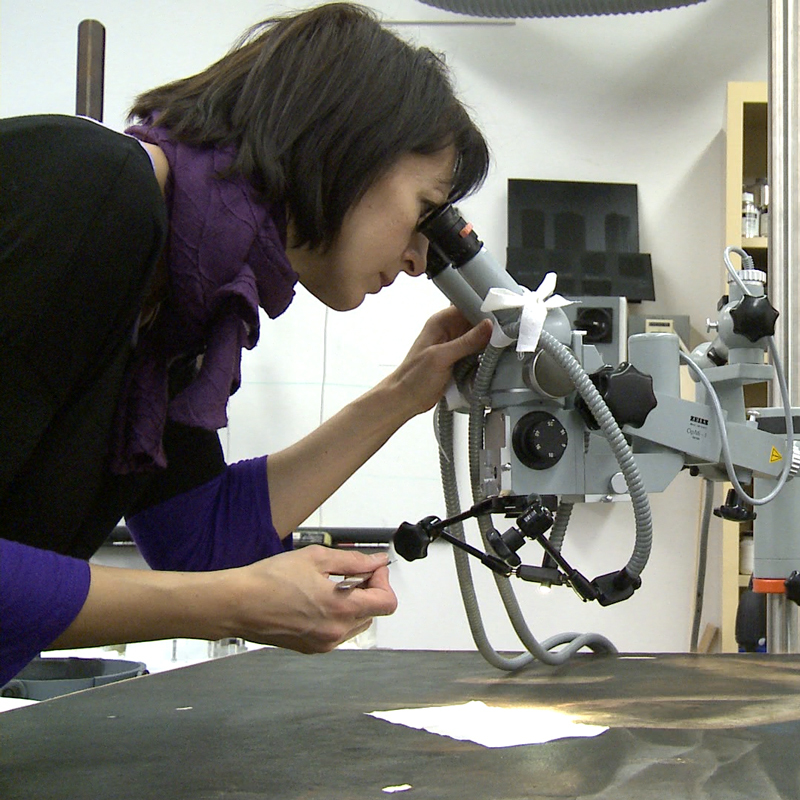 The Conservation Department’s primary mission is to ensure the integrity of the objects in the Montreal Museumof Fine Arts’ collections through preventive conservation and remedial treatments. 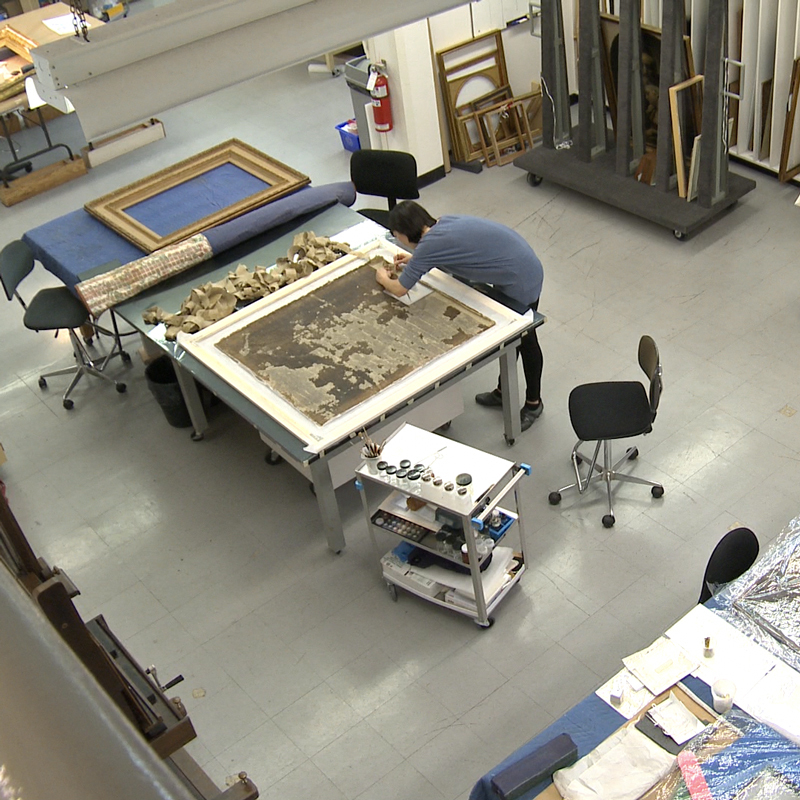 The conservation of the Museum’s collections is rendered more complex given the diverse nature of the works, both in terms of the types of objects and the vast array of materials they are made from. 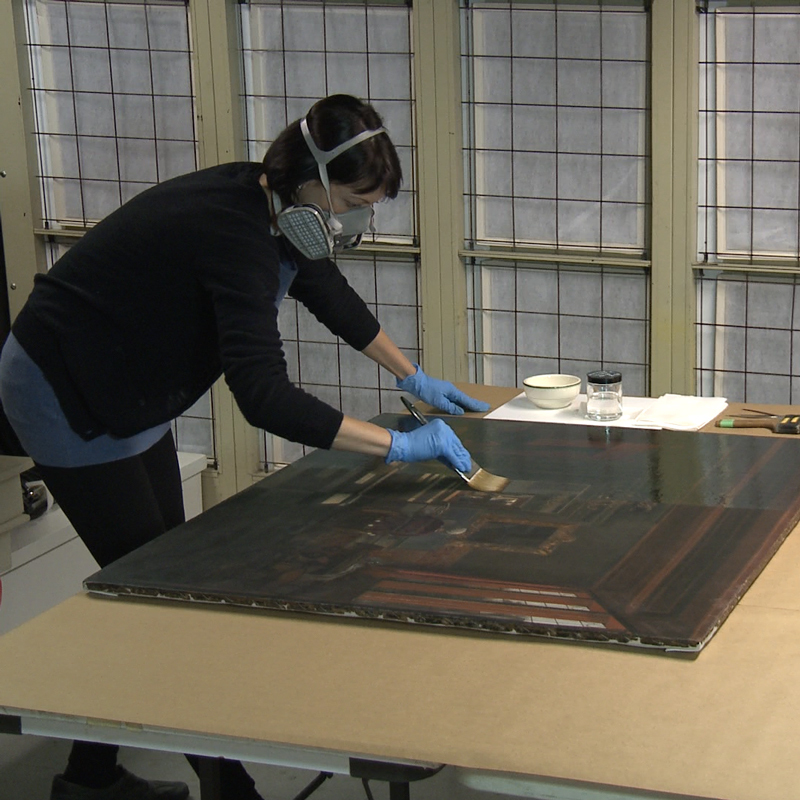 As a result, the Museum’s Conservation Department is composed of conservators and technicians with expertise in various areas of specialization, such as works on paper, paintings, sculpture and the decorative arts, as well as installations and digital works. 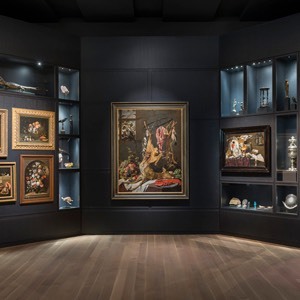 Thanks to the expertise of these highly trained professionals, the Museum can fulfill its responsibilities with regard to the works in its own collections, both for exhibition in the Museum’s galleries and as loans to other institutions. The Museum is also in a position to care for the many works of art it receives on loan for its temporary exhibitions. Restored thanks to the generous support of Bank of America Merrill Lynch. 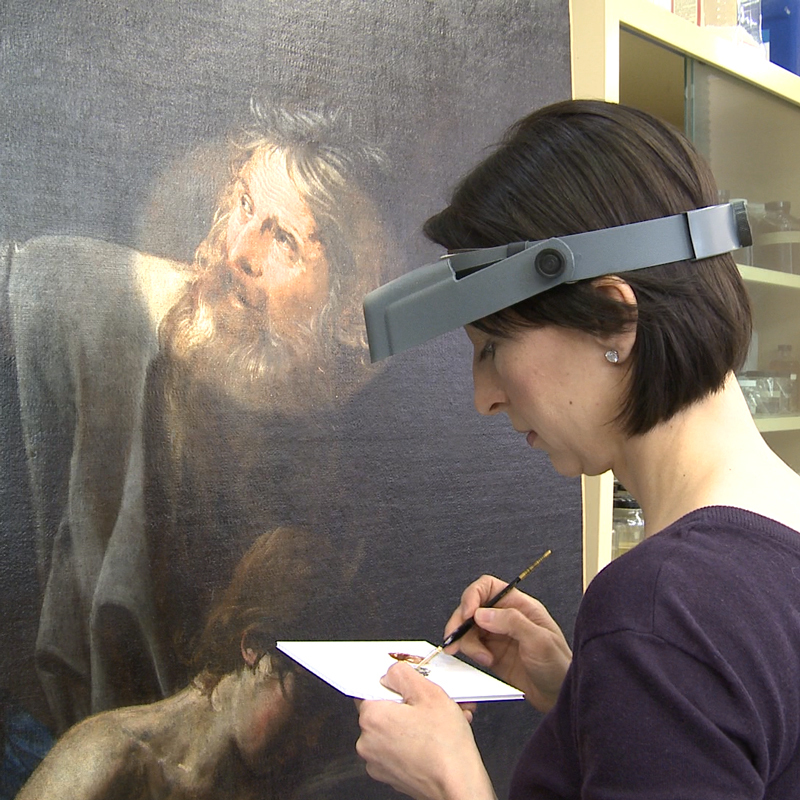 This large masterpiece by Valentin de Boulogne (1591-1632), a French follower of Caravaggio, underwent a major conservation treatment in preparation for the first monographic exhibition of the artist at the Metropolitan Museum of Art, New York. The emotionally intense painting is one of Valentin’s last works and was executed at the peak of his artistic career. The painting’s appearance and legibility had been compromised by centuries of wear and poor restorations. 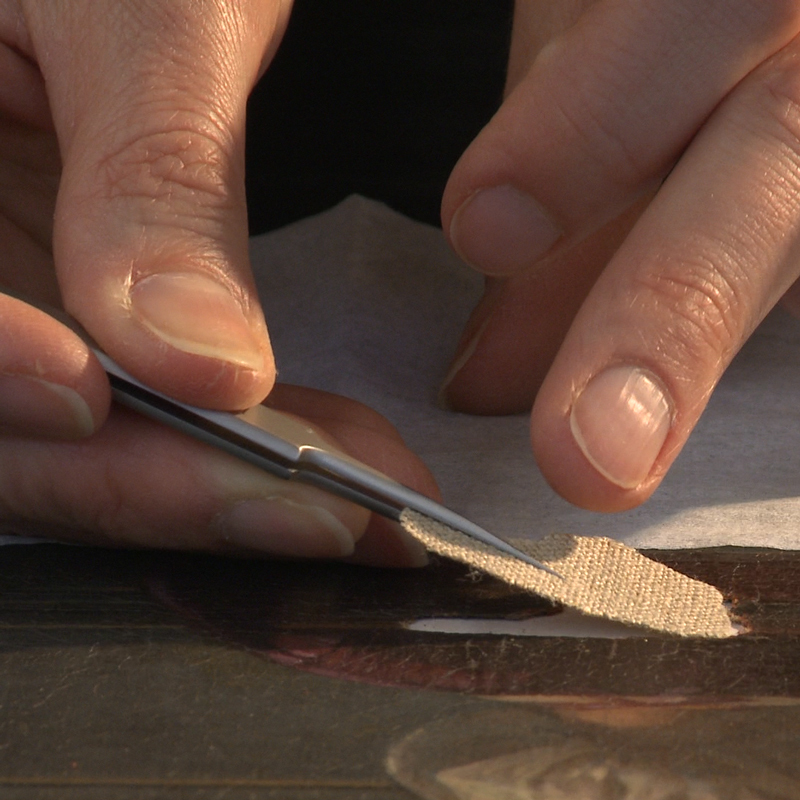 An in-depth study of the work, including a detailed technical examination and scientific analysis, was conducted at the Canadian Conservation Institute in order to better understand the structure of the painting and the artist’s working methods. An important aspect of the study was to resolve whether certain incomplete compositional elements were the result of past damage or had been left unfinished by the artist. In order to reveal the original paint surface, the treatment included removing all layers of dirt, discoloured varnish and darkened retouching. The poor condition of the original paint and the non finito aspect of the work required a particularly restrained and sensitive approach to inpainting. Losses were concealed and areas of abrasion selectively diminished, but numerous compositional changes were left apparent. The challenge, which extended for a period of eleven months, was to achieve a balance between well-preserved areas of the painting, those irreversibly damaged and the unfinished areas, restoring coherence, legibility of the image and compositional harmony. The painting will be put back on display in May 2017. Restored thanks to the generous support of BNP Paribas Foundation and of BNP Paribas Canada. 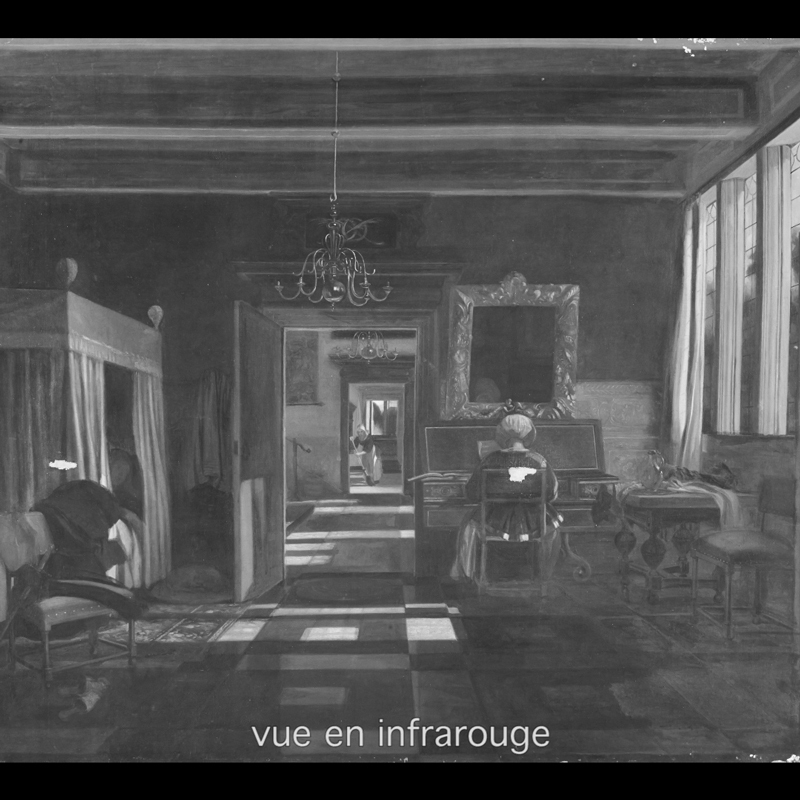 De Witte is one of the most renowned Dutch painters of architectural interiors. His paintings, punctuated with depictions of everyday life, are characterized by lofty spaces, orderly perspectival effects, and a careful rendering of the quality and effect of daylight. The goal of the treatment was to correct previous restoration work, notably by removing a thick layer of synthetic varnish that had become opaque, relining the painting with stable materials, and shaping new linen inserts on puncture holes to ensure a smoother surface texture. 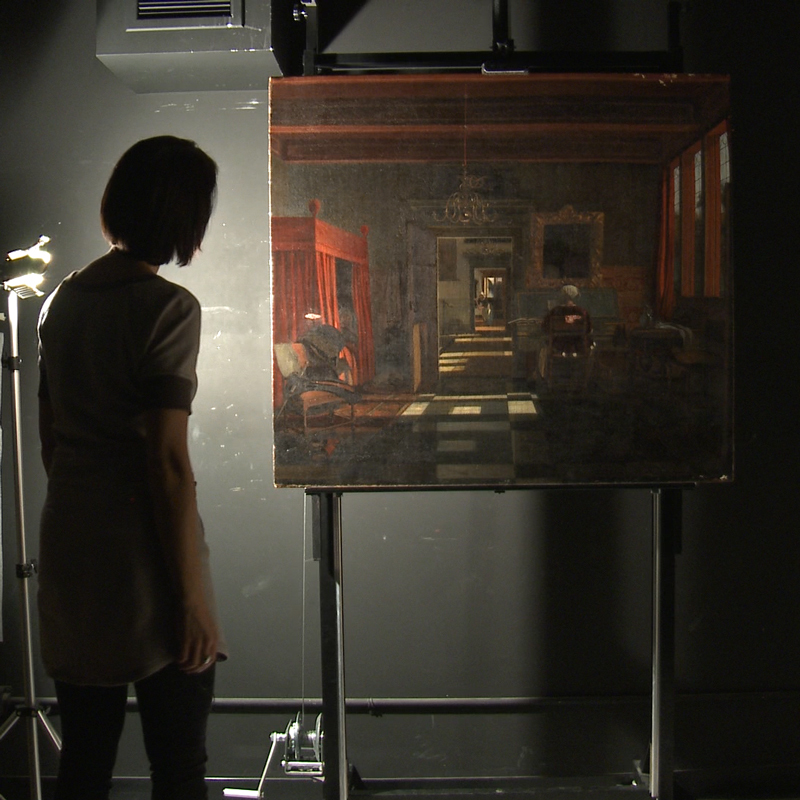 The treatment was complemented by an in-depth technical analysis at the Canadian Conservation Institute, Ottawa, which provided a better understanding of the artist’s technique. 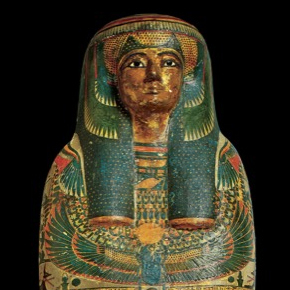 Ultraviolet, infrared and radiographic examinations, as well as paint cross-section analysis, identified the materials and layering technique and confirmed the presence of original coloured glazes. 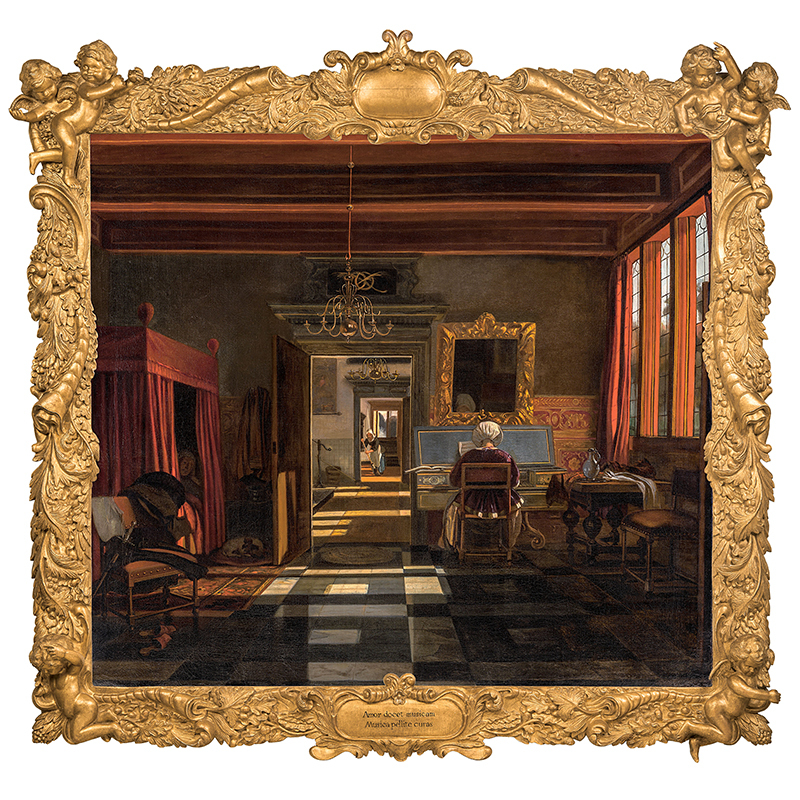 The painting is set in a new custom-made reproduction of a seventeenth-century Dutch auricular frame, of a more elaborate design than the auricular mirror frame above the young woman in the painting. This frame was made and graciously donated to the Museum by John Davies Framing Ltd of London. 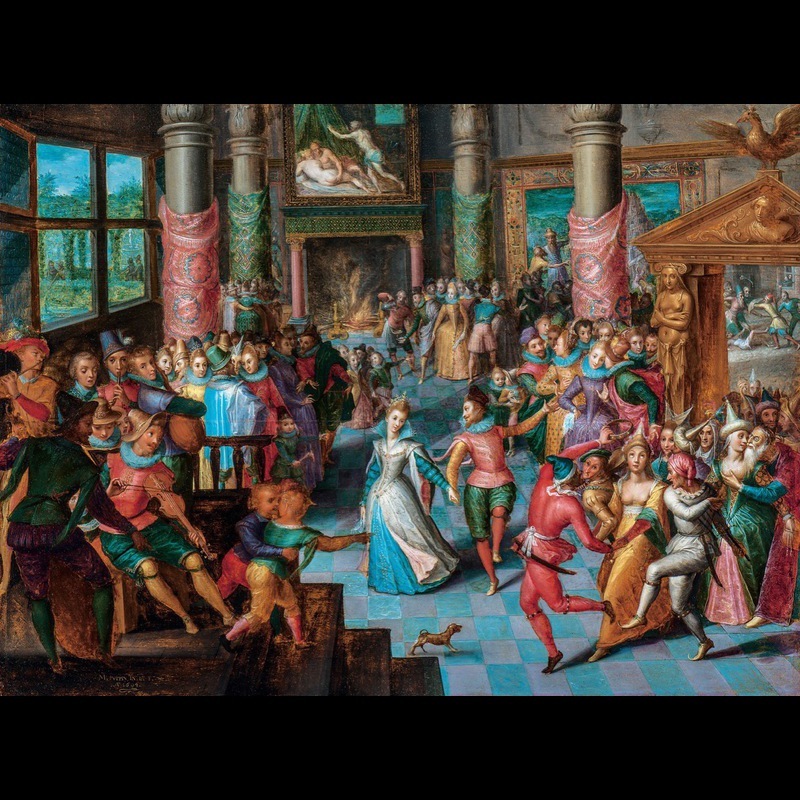 Marten Pepyn, Carnival Scene, 1604, tempera, oil and gold on wood, 50 x 67 cm. MMFA, Arthur M. Terroux Bequest. Examples of works that were restored for the occasion of the opening of the Michal and Renata Hornstein Pavilion for Peace. Carnival Scene is a work that bears the stamp of Pepyn’s years of apprenticeship. In it the artist has remained faithful to sixteenth-century painting traditions. This panel therefore belongs to pre-Rubens Flemish painting, a manner that Pepyn, in emulation of the Franckens, developed in his small-sized works. 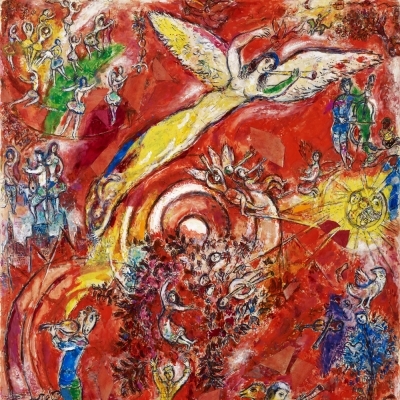 This work was restored for the opening of the Michal and Renata Hornstein Pavilion for Peace, where it was exhibited for the first time. A thick layer of brown dirt and two layers of yellowed varnish were removed to reveal a charming composition with bright colours. 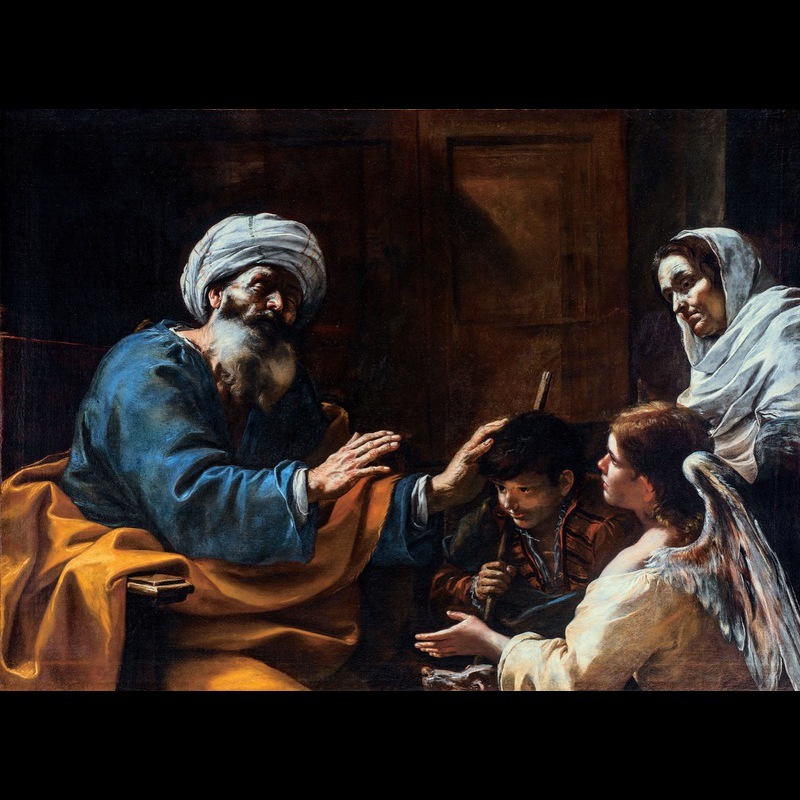 Mattia Preti, Tobit Blessing Tobias, about 1660, oil on canvas, 130.3 x 180.2 cm. MMFA, purchase, Horsley and Annie Townsend Bequest. The direct, dramatic appeal, sincerity and rich colourism of Preti’s art, as well as the vigour and sprezzatura (spontaneous brushstroke) of his rival Giordano, reinvigorated the Neapolitan school of painting of the Baroque period when it had declined into a derivative iteration of late Caravaggism. Yet Preti’s residence in Naples only lasted from 1653 to 1660. 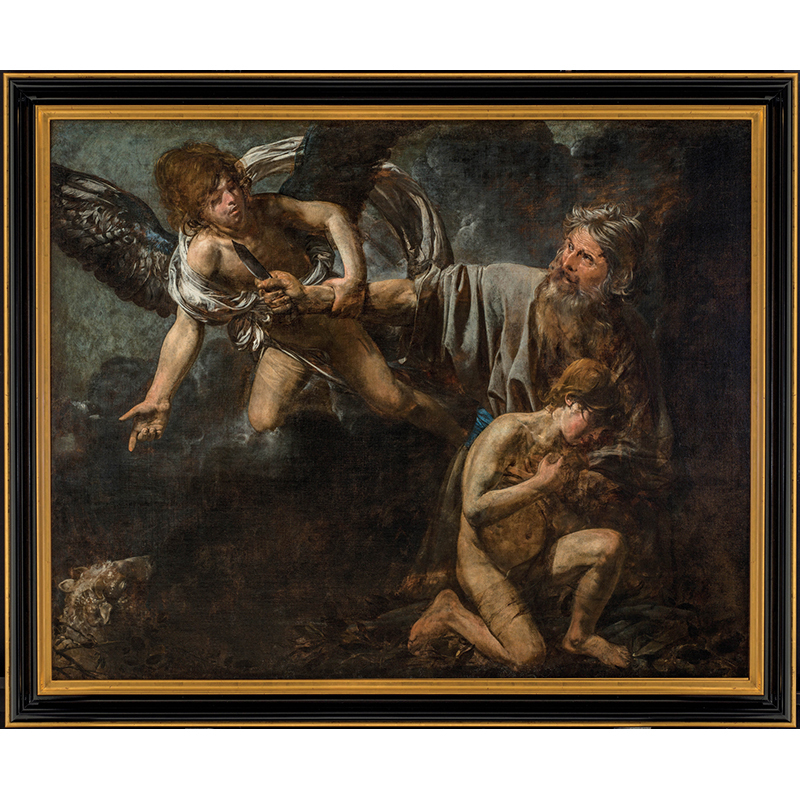 We know little about Preti’s training, but to his initial disposition towards the tenebroso character of Caravaggism he infused the contemporary currents of Roman and Venetian vigour and colourism, the latter reflecting the profound influence of Veronese. This subject, very briefly recounted in the Apocrypha in the Book of Tobit, taken from the Old Testament, depicts the moment when the blind Tobit, in the presence of his wife, blesses his son Tobias and the angel Raphael. 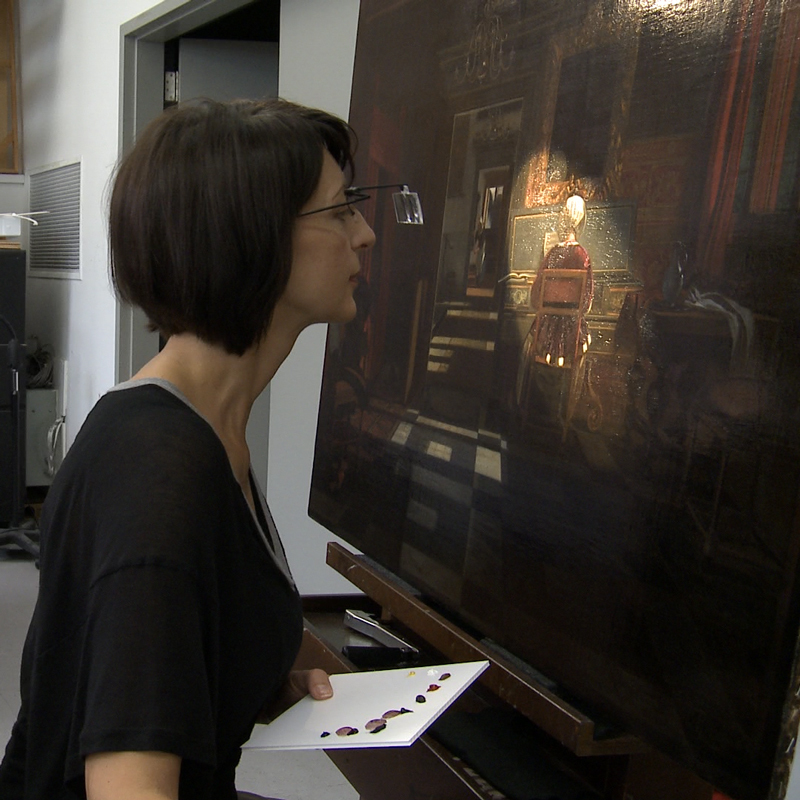 This artwork underwent a major restoration as a result of a loan request for a solo exhibition of the artist’s work. The old discoloured overpaint was cleaned and removed. Then, the losses were inpainted and the painting was revarnished. 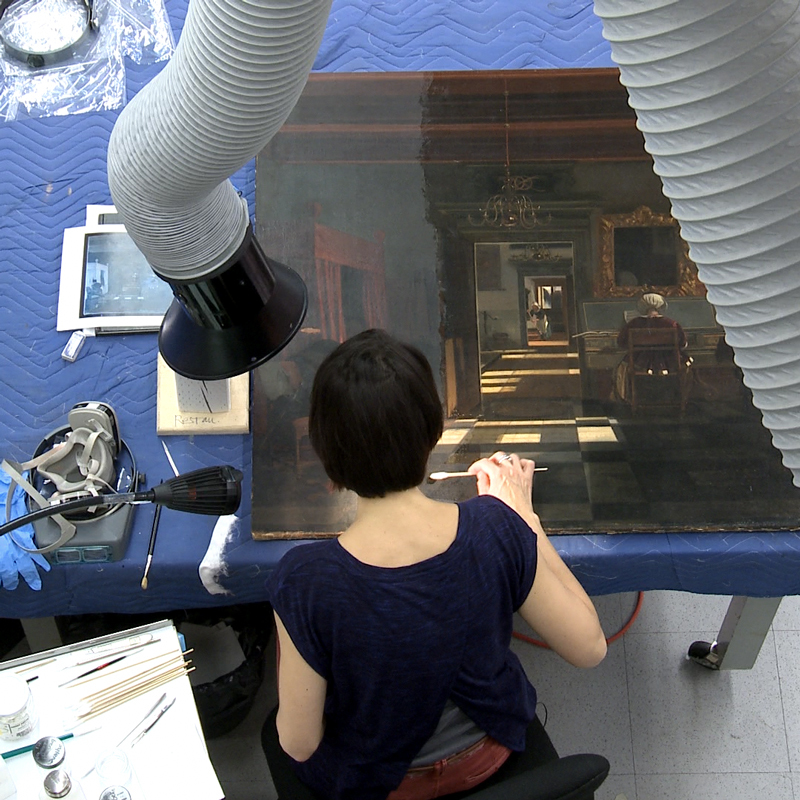 The cost of this restoration was shared with the borrowing institution, the Muscarelle Museum of Art in Williamsburg, Massachusetts. John Frederick Kensett, On the Hudson, 1855, oil on canvas, 154.3 x 119.7 cm. MMFA, gift of the family of Dr. F. Wolferstan Thomas. Kensett was among the most renowned painters of the second generation of the Hudson River School. Widely regarded as the first truly American school of painting, the group turned to the native landscape, particularly the areas around the Hudson River in New York, for inspiration. On the Hudson shows a clearing on a hillside in a forest overlooking the Hudson. On the left side of the canvas are two young trees that unify the verdant foreground with the luminous sky above, drawing the eye back in space, past the dense woods at the water’s edge and towards the river scene in the distance, where boats drift on the tranquil surface of the Hudson. 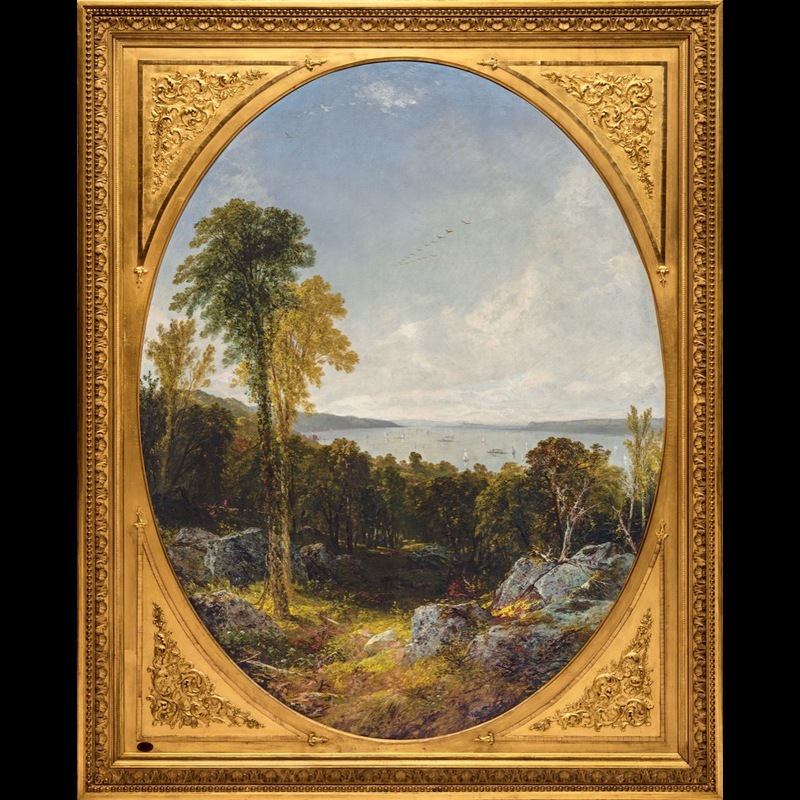 With an oval format that hugs the edges of the landscape, On the Hudson is a comforting, or “sweet” picture, as Kensett’s critics often described his work. Yet, nature is not untouched here. Small daubs of red and black paint indicate the presence of tourists in the forest, while the boats in the distance signal the encroachment of commerce on the wilderness. Major restoration work was carried out on the frame of this work by adding an outer moulding in order to complete the frame, which had lost its historically appropriate ornate outer edge. After the broken ornaments on the oval liner were replaced, sections of the damaged gilding and patina were redone in order to give the frame a homogeneous finish. These treatments restored the work’s dignity. Fernand Pelez, Street Child, 1880, oil on canvas, 95.3 x 79.1 cm. MMFA, William F. Angus Bequest. Street Child, 1880, oil on canvas, 95.3 x 79.1 cm. MMFA, William F. Angus Bequest. Pelez was part of a movement in art dealing with social issues. Wanting to “tell the story of Paris’s poor,” he painted and denounced the bleak underside of the Belle Époque. Critics spoke of him as “one of the most… affecting portrayers of poverty… most certainly the one whose sympathy for those classes suffering in our midst is expressed with the most deeply moving power.” Ironically, he was ranked among the “indefatigable eulogists of begging.” In the same vein as that of Zola, his work’s heartrending naturalism expands on the stories and novels depicting the society of the time written by Dickens. The child dressed in rags can refer to paintings by Spanish painters: Murillo, Ribera or Velázquez. The artist was not attempting to induce pity through oversentimentality; on the contrary, he strove for realism. He preferred using vagabond children he happened upon while out walking as models rather than studio professionals. 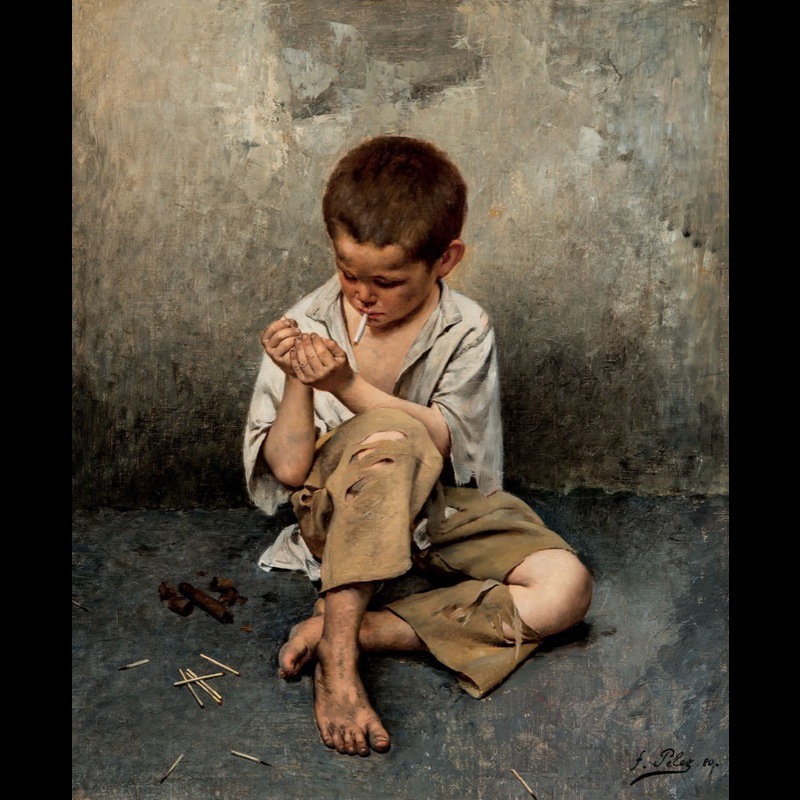 The cigar on the ground and the cigarette between the boy’s lips break with the traditional image of childhood. He takes a break to enjoy what the middle-class adults or dandies who pass him by without a glance leave behind. This work was restored for its presentation in the Michal and Renata Hornstein Pavilion for Peace: a rip was repaired and the surface was cleaned before the varnish was removed and the necessary inpainting was done. Peter Klasen, Sink, 1967, acrylic on canvas, 100 x 80.8 cm. MMFA, gift of Guy Joussemet. © Peter Klasen / SODRAC (2018). The year 1967 marks the moment that Peter Klasen’s visual language crystallized around the elements that would forge his reputation: his “binary” paintings based on the representation of contrasting elements – fragments of the human body and objects. It was also a milestone year in his international career. In 1967, Klasen participated in the 5th Paris Biennale, the exhibition Collage 67 in Munich and the retrospective of French painting presented at the French Pavilion at Expo 67 in Montreal. 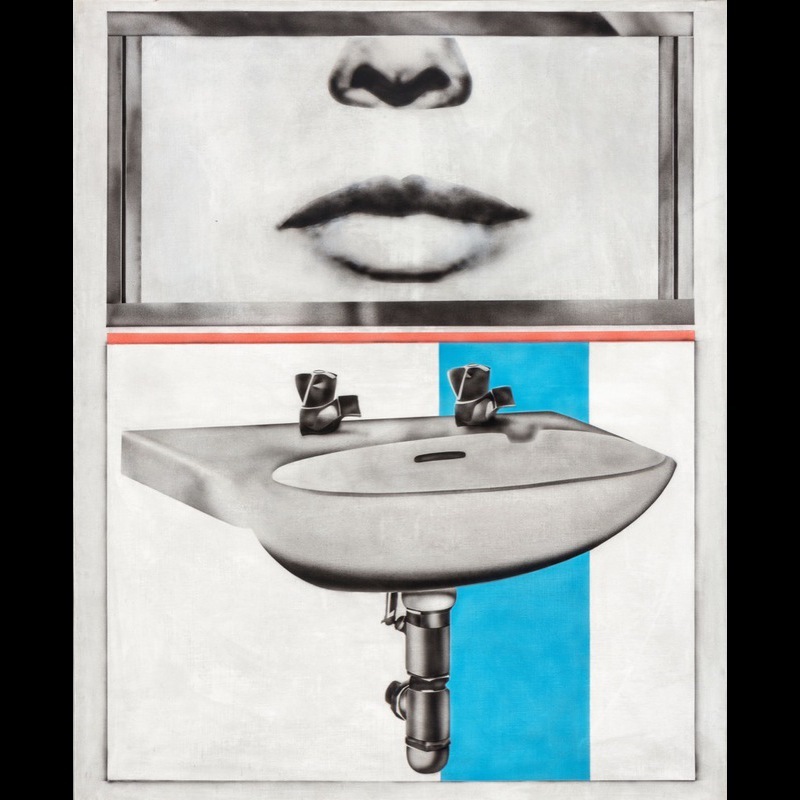 Typical of the best of Klasen’s work at this turning point in his production, Sink stacks a pair of woman’s lips and a sink one on top of the other, like a collage. In this painting, which alludes to the affiliated realms of the Symbolist poet Lautréamont and the Surrealists, by the use of unusual and these surprising connections, Klasen expresses his political view of art’s role in society. The shock produced by the juxtaposition of objects reflects the complexity of the society in which we live, with its unresolved conflicts and the schizophrenic nature of its political and social deeds. This unvarnished painting underwent a thorough cleaning. For this treatment, the number of surface abrasions was reduced and minimal retouching was performed on the most damaged areas. Judit Reigl, Guano, 1958-1963, oil on canvas, 172.8 x 208.3 cm. MMFA, gift of Patrice and Andrée Drouin. The title of this work, Guano, is a word that originated in Peru and refers to bird, seal or bat excrement. 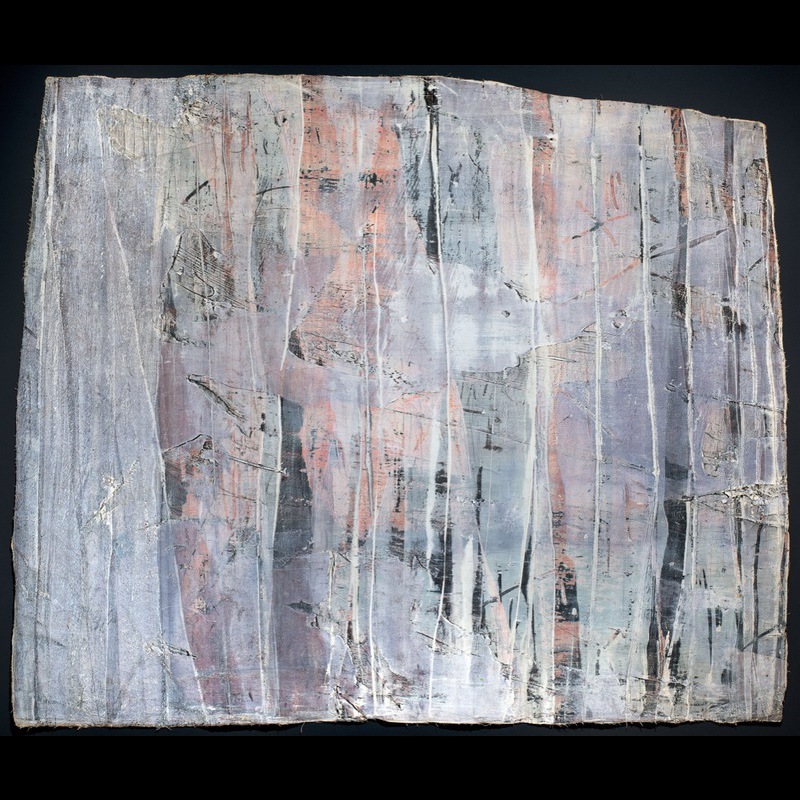 Part of a series of works varying in shape, this painting is the outcome of a very practical circumstance, resulting from Reigl’s decision, after moving to a new studio, to protect the floor with remnants of cast-off canvases. 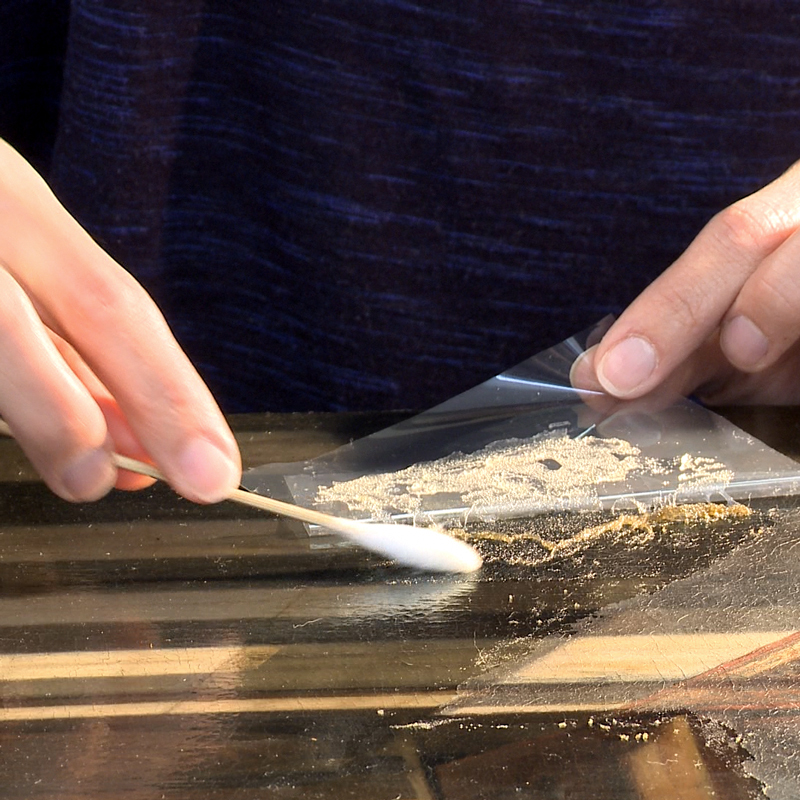 By reworking the deposits on them and scraping sections off, she uncovered layers of previous existence – hers as an artist and of her artworks, including those whose existence was terminated by her choice to discard them and use them as a floor covering – and created new ones that are discernible in the layers of splatterings and drippings of paint. Like vestiges from her past, Judit Reigl’s paintings offer evidence of her creative and corporeal performances, and provide a link with her personal history. Escaping from Communist Hungary on foot, she walked through Europe, each step leading her towards an unknown future, much in the same way the footsteps taken through her studio led to new formal pursuits. 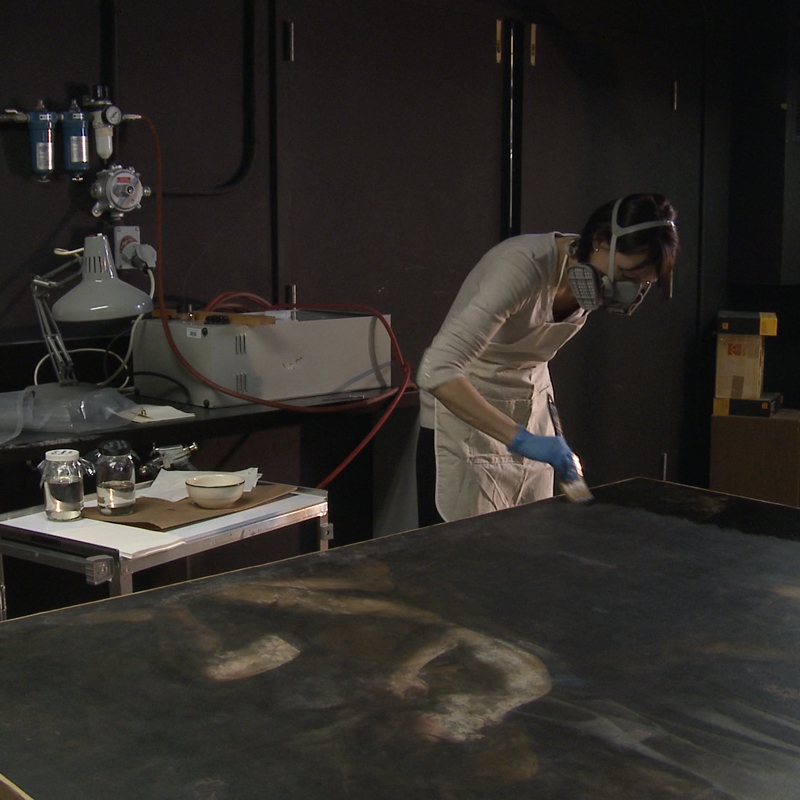 The painting surface of the irregularly shaped and unstretched canvas underwent a major cleaning. This painting posed a specific problem involving the reintegration of certain areas of wear and loss of pictorial matter, as we know that these abstract compositions were originally used as floor coverings for the artist’s studio until she discovered all the pictorial potential they offered and reworked the canvas around this aspect of the work. The Conservation Department page on this site is funded by the Ministère de la Culture et des Communications du Québec as part of the implementation of measure 41 of Quebec’s digital culture plan and by the Ville de Montréal under the Entente sur le développement culturel de Montréal.